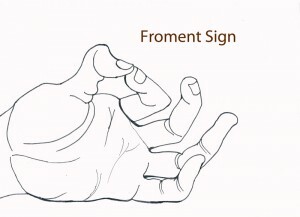 Froment’s sign tests for the strength of the adductor pollicis muscle (the muscle in the hand that moves the thumb toward the palm); the muscle is weak when the ulnar nerve is affected (ulnar nerve palsy) 1. 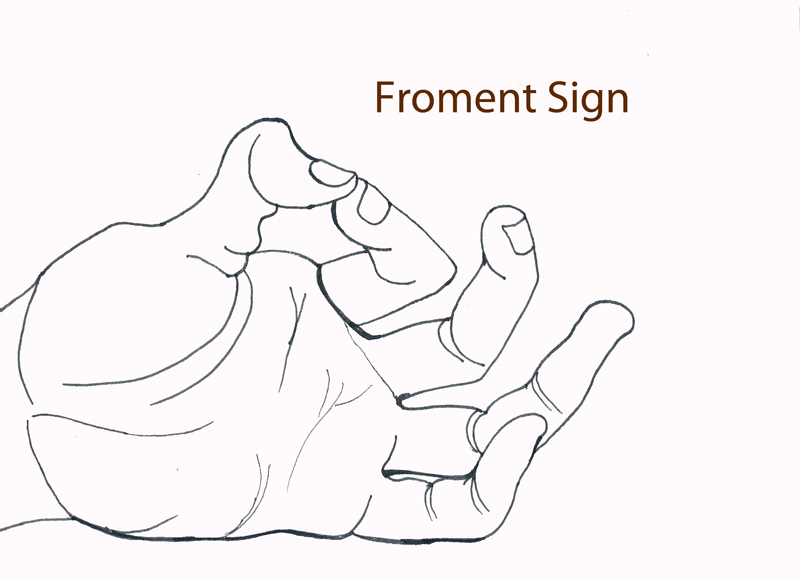 A person is asked to hold a piece of paper between his or her thumb and index finger (pinch grip). An examiner then tries to pull the paper out of the person’s hand. A healthy individual will be able to hold a paper without difficulty while an individual with the lack of strength in the adductor pollicis (when the motor branch of the ulnar nerve is affected) will try to keep the hold with the help of the flexor pollicis longus muscle (innervated by the anterior interosseous branch of the median nerve), what will result in the obvious bending of the interphalangeal (distal) joint of the thumb (Picture 1). At the same time, the metacarpophalangeal joint (between the hand and the first phalange) of the thumb will be excessively extended (Jeanne’s sign). In a healthy person, both thumb joints will be obviously extended when making a pinch. Picture 1. 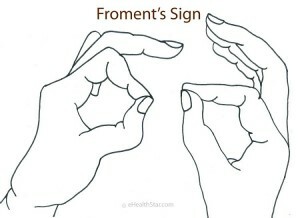 Positive Froment’s and Jeanne’s sign. 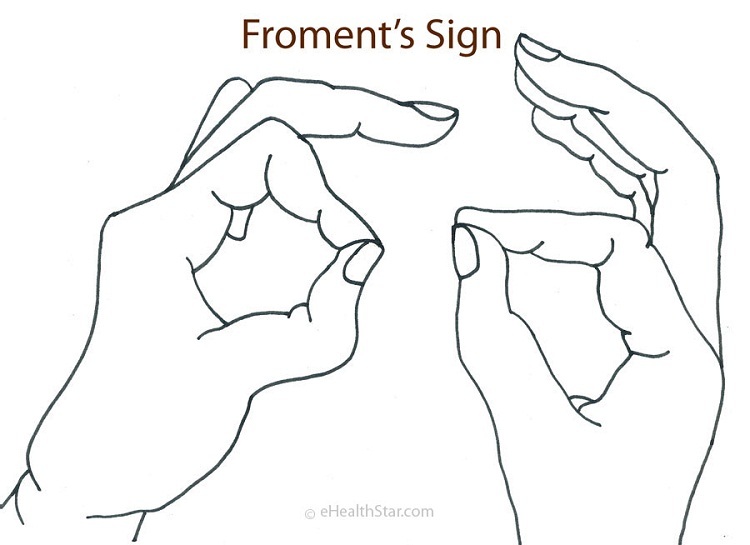 “Cogwheel effect” in essential tremor is sometimes referred to as Froment’s sign. The sign is named after a French physician Jules Froment 4.